It’s the first interaction your customers have with your product. If it’s a good experience, they’ll be on their way to repeat subscriptions. But poor onboarding provides a bad customer experience and can cost you in the long run. If your onboarding is especially disappointing, it might push users toward churning. So it’s in your best interest to make your onboarding process as easy and effective as possible. The first decision to make when creating an onboarding process is whether it will be automated. And that’s understandable; automation is becoming standard in more business tasks all the time. But some SaaS products are better off with manual onboarding. How complex is your product? Automated SaaS onboarding is best for simple or slightly complex products. Automated onboarding is more difficult with complicated apps. There are more features to cover, users will probably have more questions, and some parts of the product might require explanations that are difficult to give in a predetermined format. How savvy are your customers? Your target market is an important factor in your onboarding. If your customers are familiar with the type of product you provide, automated onboarding is easier. You can assume a basic knowledge that helps customers get up and running. Customers who aren’t familiar with your area might benefit from a higher-touch onboarding process. You can answer questions, explain benefits, and help users get the most out of your app. How many customers do you have? Imagine doing manual onboarding with hundreds of new customers. It would take a huge amount of manpower and time. If you’re just getting started, you probably don’t have either of those things. In general, the more customers you have, the more you’ll gain from automated onboarding. As long as you do it well. Do you have the resources for automated onboarding? To automate your onboarding process you’ll need a specific set of tools. You might need a good method of in-app messaging or an advanced email automation tool. 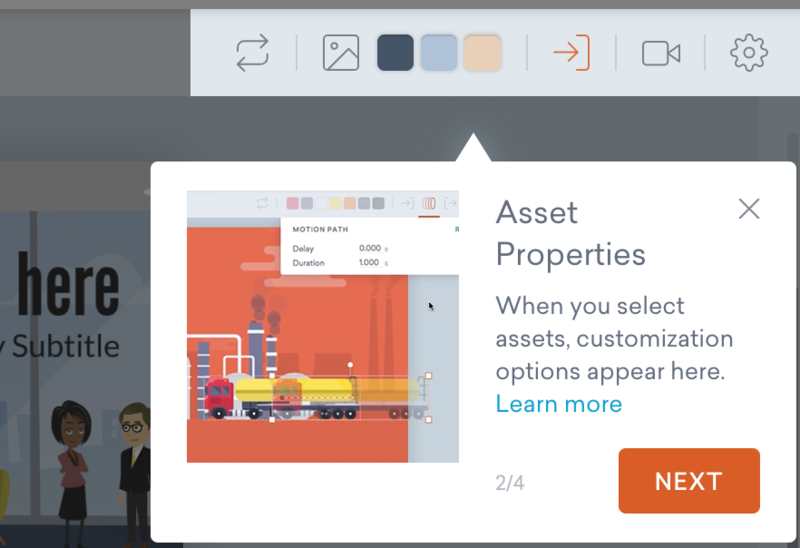 If you use guides or videos, you’ll need the ability to create high-quality assets (don’t skimp on these; it makes your product look unprofessional). Consider every touchpoint when thinking about automated SaaS onboarding. Are you serving the interests of the customer throughout the entire process? Are your tools sufficient for creating a great experience? You may find that you just don’t have the resources to support it at the moment. And that’s okay. Many companies use manual onboarding via phone calls or screen shares. Even some that have the resources and expertise to automate the process. Adding a personal touch to your onboarding process means a lot. Don’t discount it because automated onboarding seems flashy. If you decide to automate onboarding, make sure someone from your company is always available to help users who get stuck or have questions. Live chat is a great option for this. If you’re already using a service like Intercom, Drift, or ZenDesk to answer marketing and sales questions, you can also use it for onboarding issues. You could try to automate this part of the process too. Chatbots are getting better at answering questions all the time. But if customers have specific questions about their business, putting more hurdles between them and a support specialist creates a bad experience. If you offer live chat to support onboarding, make sure that you have someone knowledgeable on staff and ready to answer questions when they’re asked. Even if you use a manual onboarding process, having someone available to answer questions is good practice. No onboarding flow answers every question. And customers are likely to ask for help when they start using your app. Interactive user guide solutions have become quite popular. There’s a good chance that you’ve used one recently, in fact. These solutions display walkthroughs on top of an app or website. The walkthrough shows users how to navigate the app and which buttons to click or tap to complete common tasks. If you need to point out to your users where to find the menu and access your main features, it’s probably not. Your user interface should be clear enough that it doesn’t need an interactive user guide. A text or video guide should be enough. Include images of icons, screenshots of your app, and other touches that make it easy for users to take what they’ve learned in the tutorial and apply it to your app. Of course, it takes time for users to get used to your app. And you might have things you want to point out to new users. But if there are so many of those things that a short tutorial video won’t cover them, it might be time for a redesign. It’s worth noting that some companies find that users appreciate these kinds of guides. If that’s the case, by all means, use them. Some apps are good candidates for interactive guides. But don’t just jump in because it’s the trendy thing to do. Make sure you can’t answer all of the questions within your UI first. Even if you think your user interface is clear, it’s important to have step-by-step instructions that your users can find. It might be an article, a video, a combination of both, or something else entirely. But it’s important that you walk users through the entire process of setting up and using your app. There’s a complication here, though. Because you’ve been working with your app for a long time, you don’t even think about it anymore. It’s become natural to you. Which means it’s easy to skip steps. First, bring in an outsider to help with your onboarding documentation. A contractor not only brings useful experience to your company, but they also bring an outside perspective on your software. They’ll help you identify where you’re skipping steps or making invalid assumptions about your customers’ knowledge. Second, get real data to influence your onboarding process. User experience testing methods like surveying users and using heatmaps to see where people direct their attention can be a big help. It takes time to gather this information. But it helps you create a better user experience. And that’s worth the time and effort it takes. Do this sooner rather than later. It’s easier to design your onboarding process right the first time than to fix it later. Bringing in an outsider to help with your onboarding process is good practice—but getting insights from your own users is even better. That’s where monitoring and tracking come in. Customer success software helps you see where customers are having trouble. For example, you might see that many customers sign up for a free trial and set up their account, but don’t take the first step in trying out your software. You can take that information and look at your onboarding process to figure out what you’re missing. Maybe you aren’t telling them how to get started. Or it’s not clear what they can access while on a free trial. When you know where the problem is, you can figure out what the problem is. And that’s the first step in solving it. 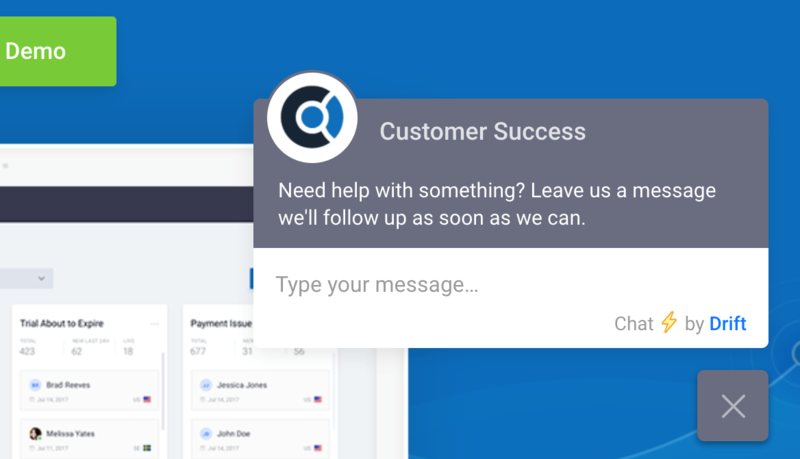 Your customer success reps can use this information to get in touch with clients who are having problems even before those clients reach out. And your reps can deliver the information those customers need to solve the problem. You can combine that knowledge with other insights about the rest of the user lifecycle, too. Common conversion actions, churn signals, and similar information help you tailor your app to create the best customer experience possible. And that starts with onboarding. Experiences with your marketing and sales teams are important. But there’s nothing like the first impression of an app. If your onboarding process results in a good customer experience, that first impression will lead to further satisfaction. But a negative onboarding experience can have consequences. Spend time creating a fantastic SaaS onboarding flow and you’ll head off early churn before it starts.